Established 2010 3950 Varsity Dr. 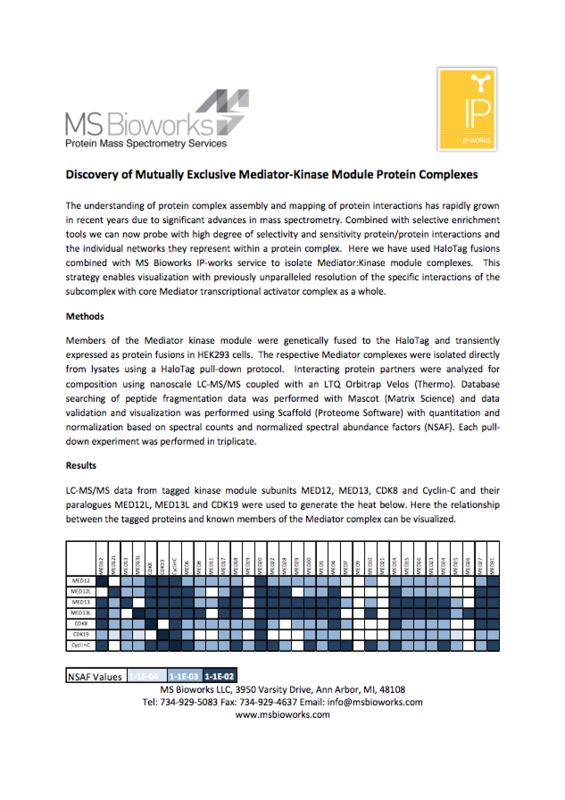 Selected Reaction Monitoring Analysis of Sarcomere mutations in clinical heart tissue samples. 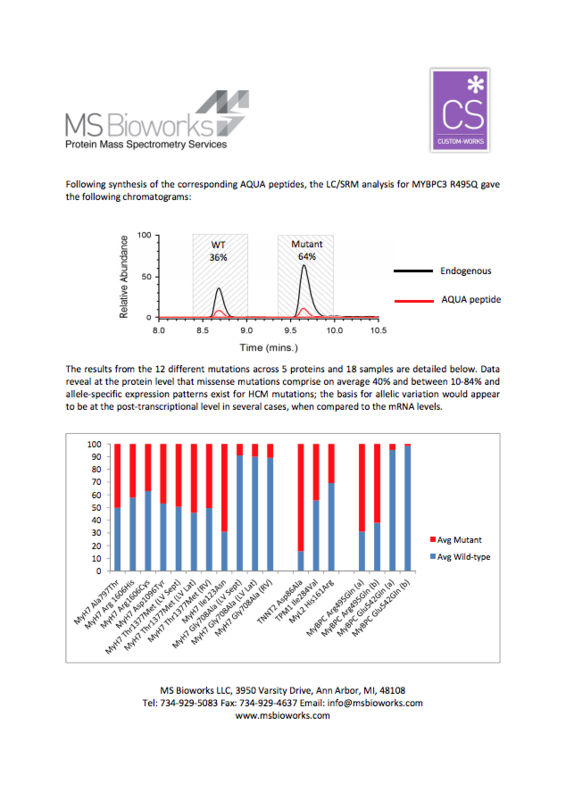 Identifying and quantifying glycoforms of carcino embryonic antigen (CEA)protein. 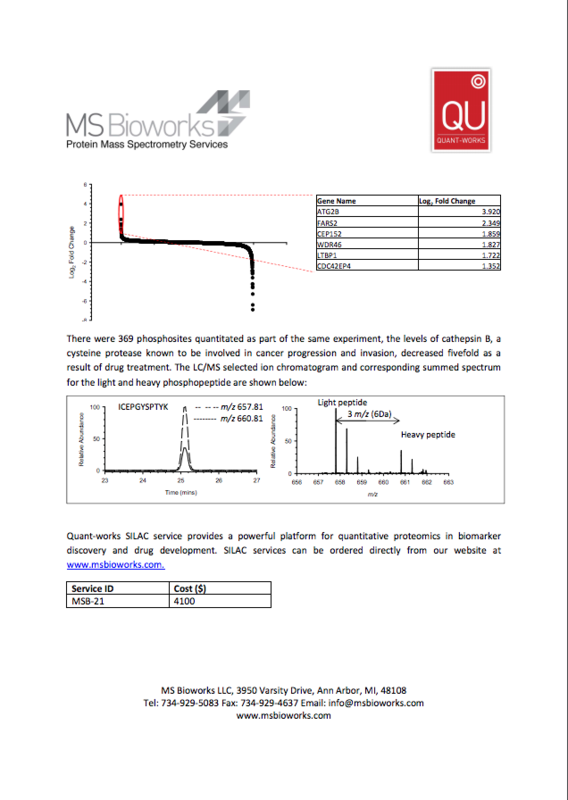 An overview of our SILAC differential analysis services including workflow details and a case study on MCF10A treated with the kinase inhibitor A-443654. 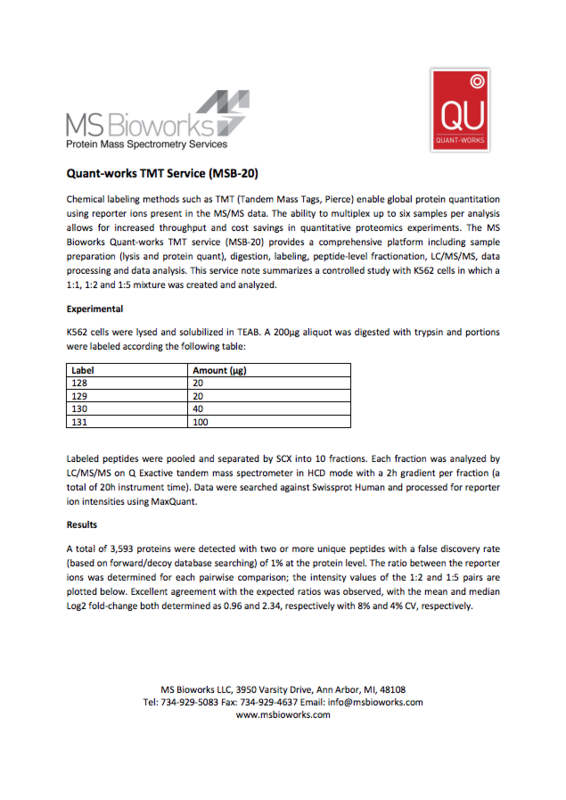 An overview of our TMT differential analysis services including information on sensitivity, dynamic range and precision. 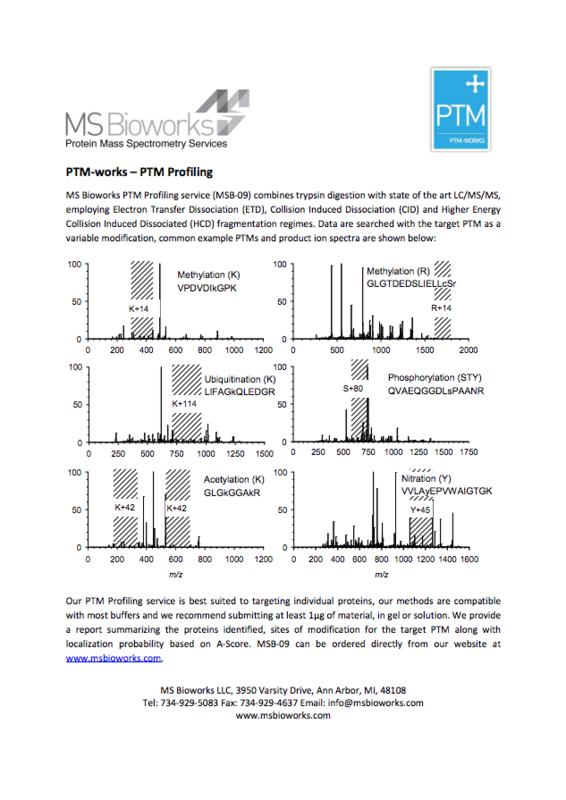 An Overview of our PTM profiling plus service. 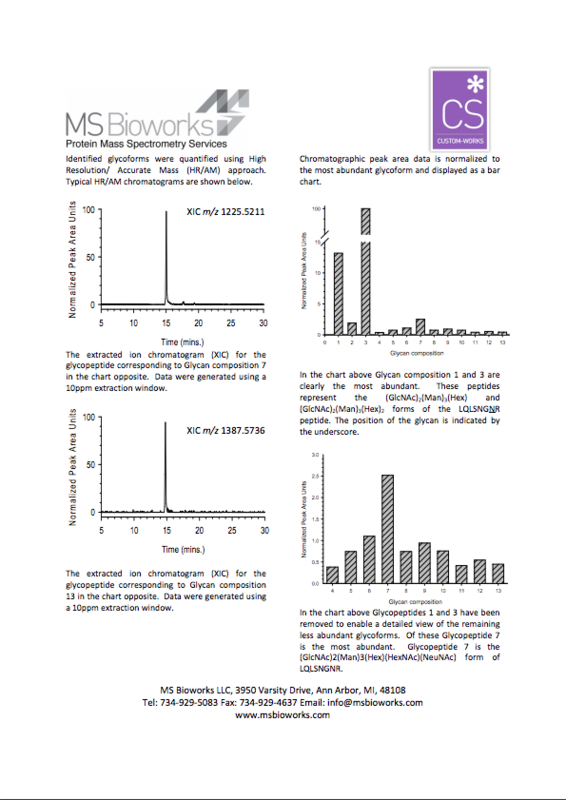 A case study of MAPK3 is included. 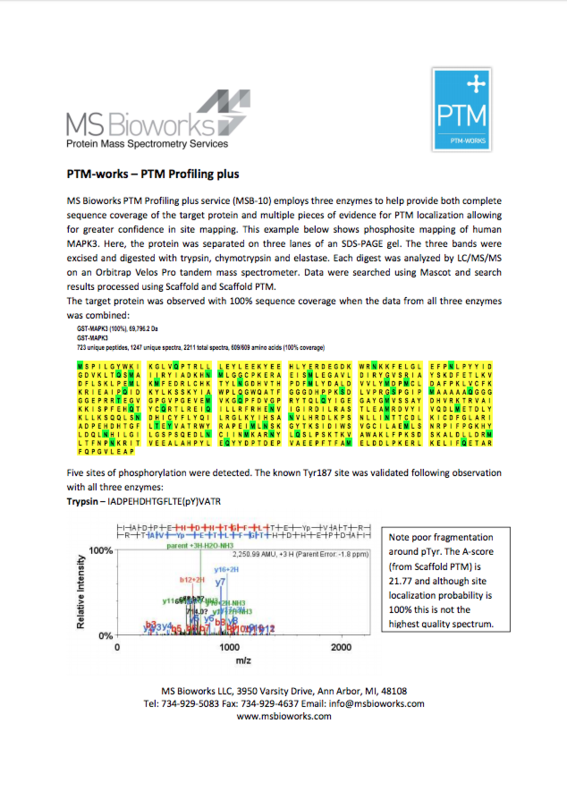 An Overview of our PTM profiling services including information on available technologies and frequently requested PTMs. 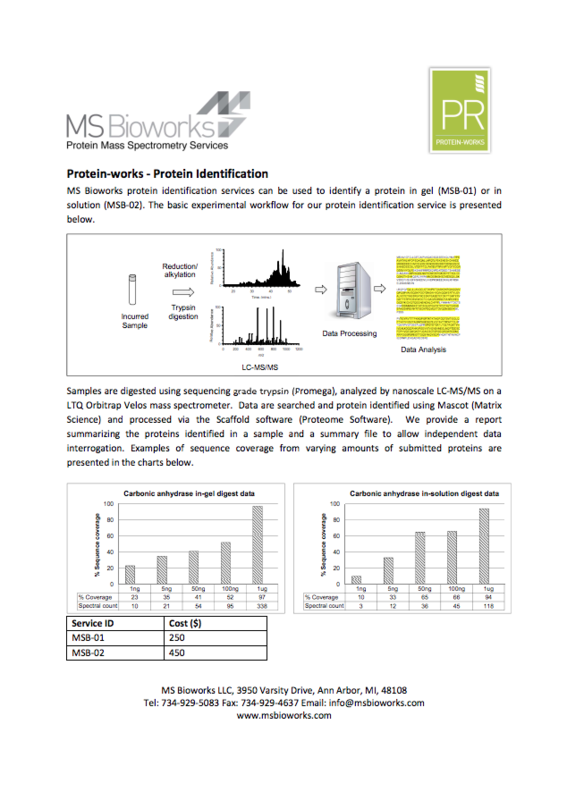 An overview of our protein identification service including sensitivity and sequence coverage data from solution and gel digests for carbonic anhydrase. 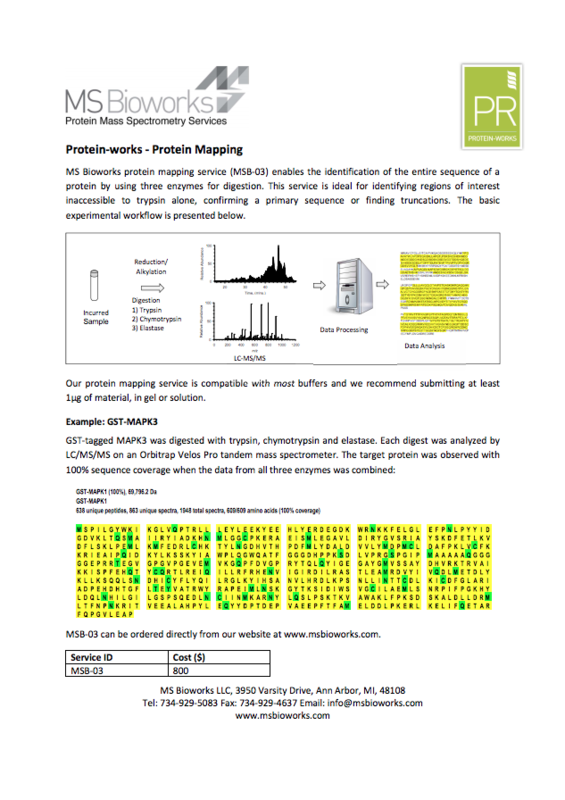 An overview of our protein mapping service with MAPK3 as an example.